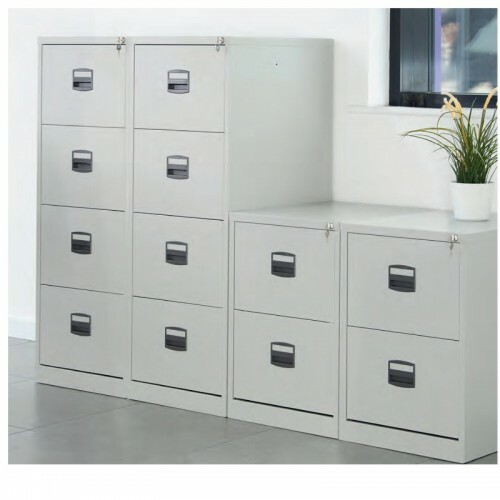 Our range of low cost steel filing cabinets are designed and manufactured for today’s modern office environment and offer excellent value for money. They are strong, reliable and safe. 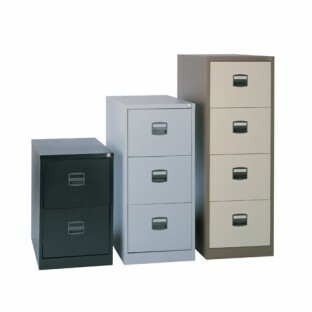 Contract Steel Filing Cabinets are available in 2, 3 and 4 drawer options. Each drawer is fitted with an anti-tilt device to prevent more than one drawer opening at the same time. The drawer front is fitted with a recessed handle and label holder. All drawers have high sides for additional strength and allows support for foolscap suspended filing. Cabinets are available in Grey, Black and Coffee/Cream finishes.